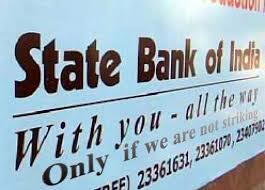 State Bank of India (SBI) expects a marginal growth in credit offtake in the quarter ended June, over the corresponding previous quarter. "On a year-on-year basis, the credit growth has been good. However, over the last quarter, the credit growth has been very marginal at Rs 4,000-5,000 crore," SBI Chairman O P Bhatt said on the sidelines of a Ficci banking conclave in Kolkata on Monday. In order to boost the credit demand, SBI had recently introduced concessional home as well as auto loan schemes. Under the auto loan scheme, SBI is offering loan at a fixed rate of 8 per cent in the first year while 10 per cent for the next two years. While in the home loan segment, SBI is offering loans up to Rs 30 lakh at 8 per cent fixed rate for the first year and 9 per cent for the next two years.